The St. Vincent and the Grenadines Botanical Gardens in Kingstown are likely the oldest in the Caribbean, and among the oldest in the Western Hemisphere, and played host to an early interest in ethnobotany on the island. Land area: 150.2 sq. mi. St. Vincent and the Grenadines (SVG) did not see human colonization until the second major waves of migrations from South American began around A.D. 500. The four cultural groupings common to most of the Windward islands also occur here: the Saladoid, Troumassoid, Suazoid, and Island Carib. As is the case throughout the Caribbean, one culture gradually replaced the other with the passage of time. The Saladoid and Troumassoid phases in St. Vincent show a preference for horticultural pursuits from about A.D. 600. People supplemented this with hunting, gathering local resources, and fishing. More notably, discoveries of spindle whorls from Troumassoid sites attest to the importance of cotton cloth production, for which the crop had to be first grown then harvested. It is possible that Tromassoid people here engaged in the trade of raw or finished cotton products. 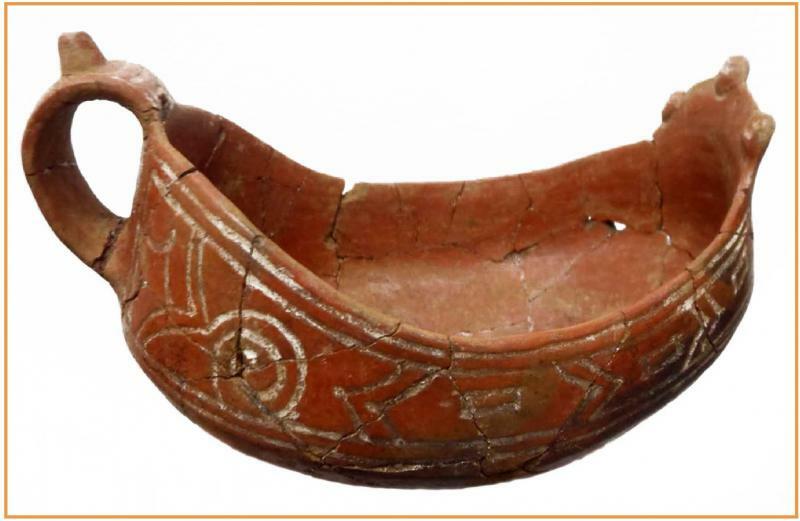 The Suazoid period (A.D. 1100 to 1450) represents a general decline in the ‘high’ pottery traditons of the preceding Troumassoid culture, although finer wares were occasionally made for special ceremonial use. Technologically, pottery was coarser in its temper, with much simplified versions of the striking red and black painted designs seen in Troumassoid wares. We can glean from European historical accounts that the first Carib peoples arrived around A.D. 1450, shortly before Columbus in 1498; however, archaeological traces of their presence is still sparse. 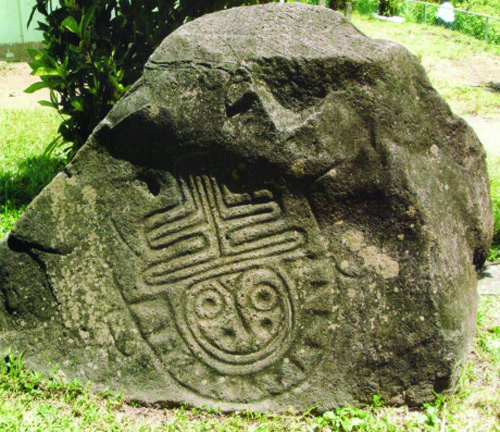 Their distinctive Cayo pottery can now be identified, and they might have been responsible for creating some of the petroglyphs (rock art) at the sites of Layou and Yambou, north and east of Kingstown respectively. In SVG, as in Dominica, the Island Caribs successfully resisted and limited the initial attempts of the Spanish to colonize the islands, forcing a redefinition of the European approach to colonization through the 1660 treaty that granted Carib peoples control of St. Vincent (as in Dominica). A distinctive feature of SVG’s Carib history is the integration of African slaves into their societies, particularly those who had escaped slavery from other islands. African assimilation into Carib culture and language, and their intermarriages with Caribs, resulted in a new ethnicity known as Black Carib, whose descendents still live in SVG today. Styles of Saladoid manatee adornos, unknown sites, St. Vincent. 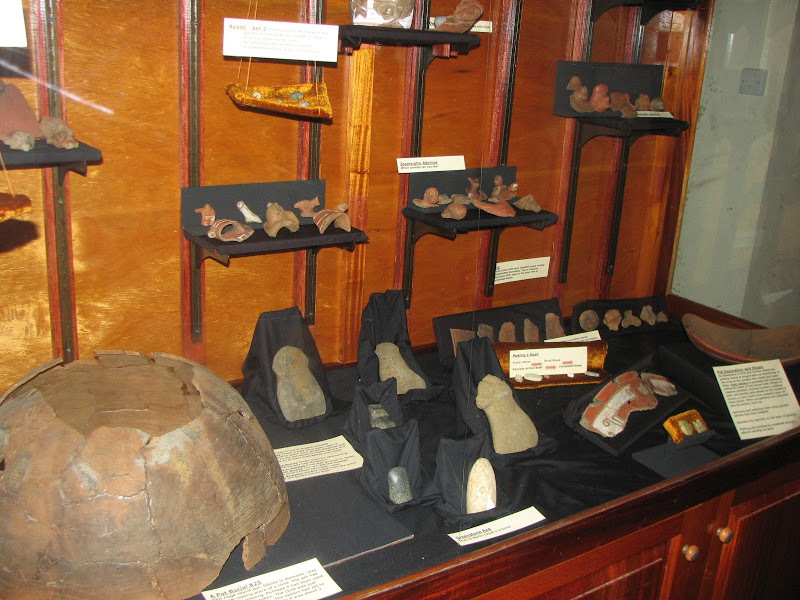 St. Vincent and the Grenadines National Trust Museum. Photographs by Lawrence Waldron 2011. Click the links below for information on heritage sites to visit in SVG. 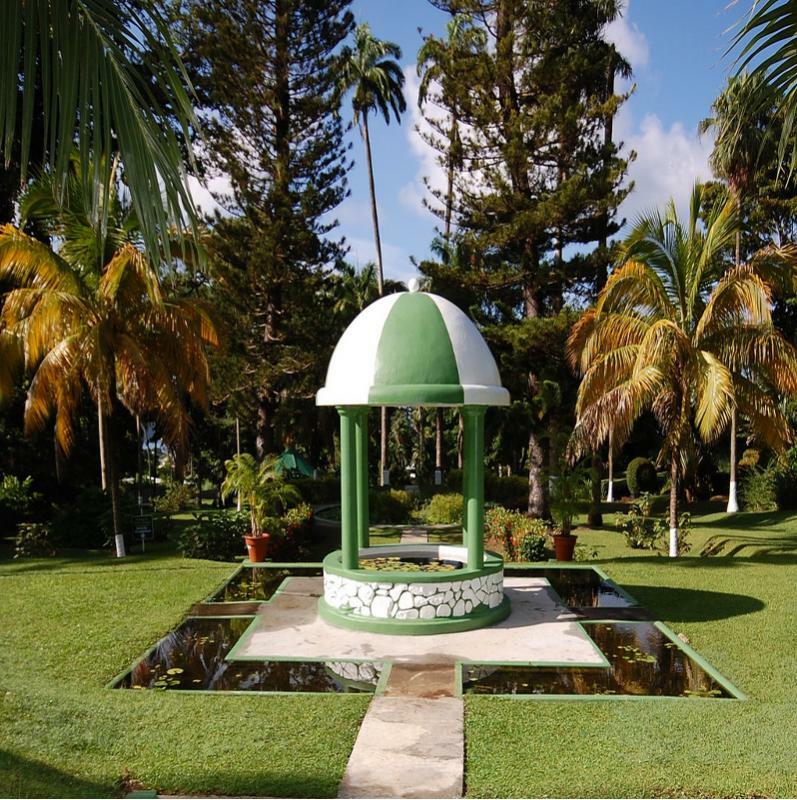 The Botanical Gardens of St. Vincent and the Grenadines is over 250 years old making it one of the oldest in the western hemisphere. Here is a list of sites showcasing traditional arts and crafts in SVG. 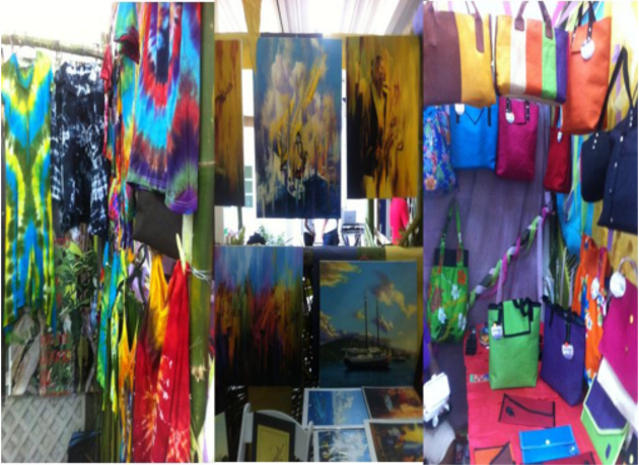 Initiatives such as Invest SVG give local individuals and businesses in heritage related fields such as art, music and crafts the opportunity to take their products to the next level. 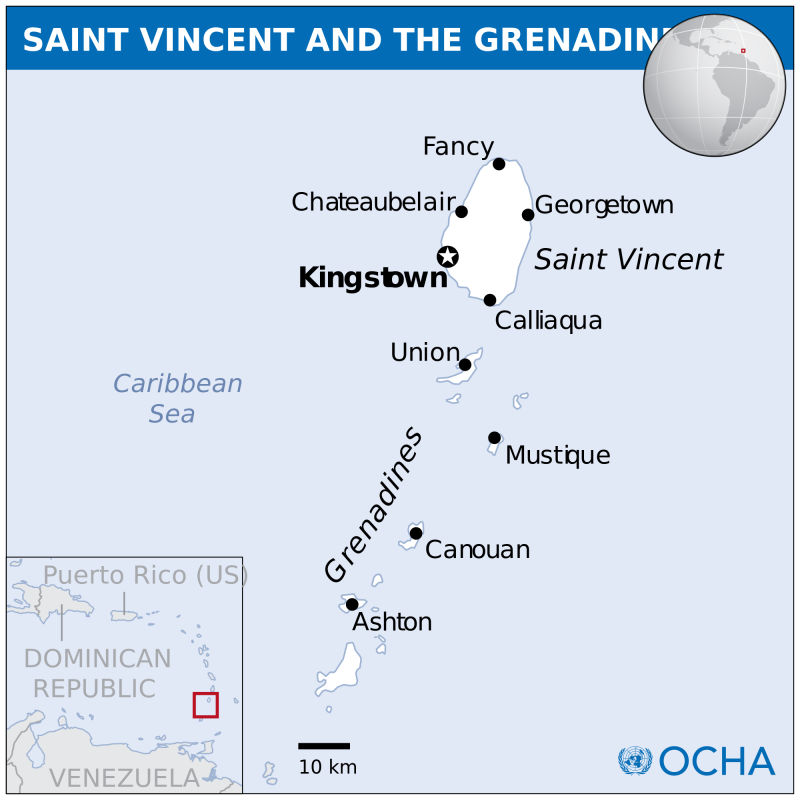 There are many festivals in St. Vincent, the best known of which is Vincy Mas (see the link below). SVG festivals highlight the talents of local persons while displaying and celebrating the island’s heritage. These festivals are organized at the governmental level and include Breadfruit Festival, Nine Mornings and Mustique’s Blues Festival. 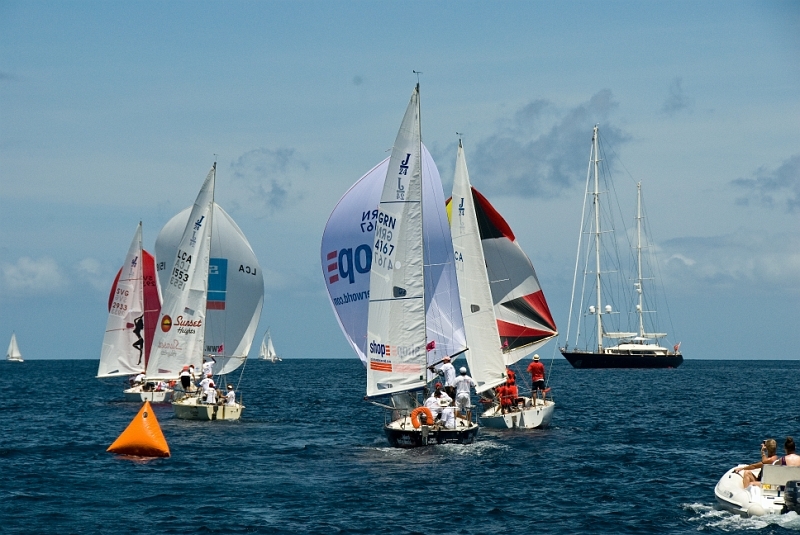 This traditional event is held annually in during Easter and attracts both local and international spectators.